Laura Joseph has a private practice near the ocean on the Weir River in Hingham, MA, where she provides spiritually based holistic health enrichment services and classes. She is a certified Jikiden Reiki® Shihan (Teacher) through the Jikiden Reiki Institute in Kyoto, Japan, Reiki Master Teacher in the Western Usui/Tibetan tradition, speaker, artist, writer and spiritual medium with over 15+ cumulative years of experience working in various areas in the health care field and has incorporated spiritually based holistic healing practices into her work since 2006. Laura was born as an empath and struggled for most of her life understanding what it meant to be an empath. Experiencing many difficult life lessons resulting and complex PTSD and Trauma, Laura had a feeling there was something wrong with her until she rediscovered her gifts and learned to embrace her sensitivities which led her down this path. She has published many articles on the topics of Holistic Health, Spirituality, Reflections from a Spiritual Medium, Healing Trauma Associated with Abuse, and Reiki. Laura also has a background as a college educator, domestic abuse advocate, and an allied health professional with a focus on trauma informed holistic care where she has been a frequent guest speaker throughout New England discussing her experiences healing trauma associated with abuse through spiritually based modalities. 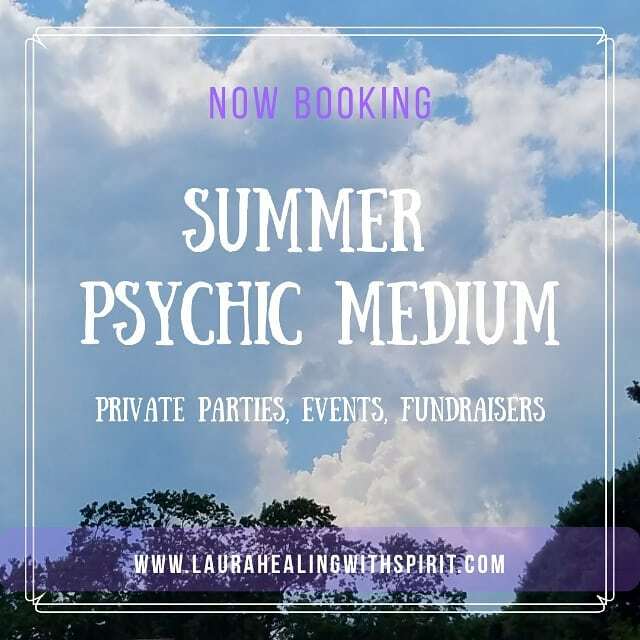 Laura was also born with the gift of mediumship and is a frequent guest throughout New England and Florida. She was also a featured guest on CBS radio and was one of the featured recipients in the article “Sixteen honorees were selected for innovation, leadership, and community service” by the New England Business Bulletin. Laura frequently travels for her spiritual work throughout New England and the United States as a guest speaker teaching and sharing the gifts of Spirit. She brings her journey of acceptance into self discovery, self care, self love, passion, compassion, and wit to assist in bringing out the best in you. To read more about Laura’s work, please visit her Testimonials. page and see what others are saying about her work. For a calendar of upcoming events, click here.